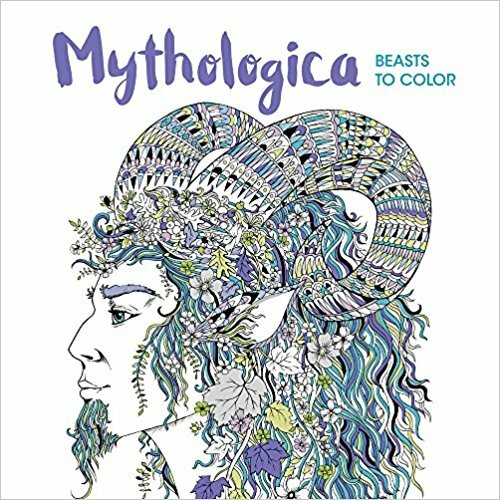 So, here are the books being published in May that have caught my eye, with purchase links. There are also a couple of books that I missed recently. 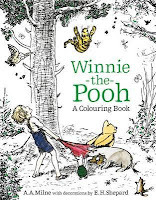 "Shepard's delicate black line illustrations of Winnie-the-Pooh, Christopher Robin, Piglet and Eeyore await your creative touch. And with quotations from A. 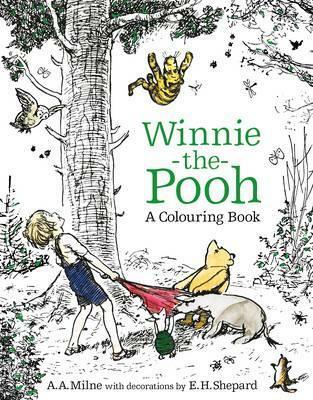 A. Milne this book will bring back warm memories of the classic books themselves and become something to treasure." 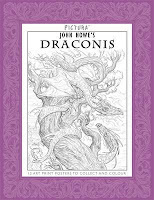 "From colouring the wondrous wings of a harpy, to the glistening snakes of gorgon's hair, this unique colouring book is filled with magical detail on every page." May also be titled The Labyrinth. "Romantic Country: The Third Tale will whisk you away to a black-and-white fantasy land that you can bring to colorful life." 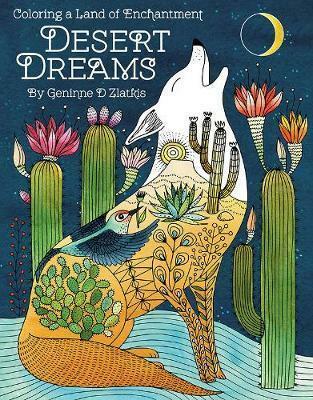 "Travel to tropical palm-lined beaches, picturesque soaring mountains and hidden temples in the lush jungle…"
"Crafted as a love letter to the desert, Zlatkis's collection of charming illustrations feature some of her favorite crafty creatures and natural treasures all found in her desert home." Pictura Prints - 3 favourite titles now out in this poster book format. They were originally foldout friezes. This format is much easier to handle, and is slightly larger. The pages are detachable. 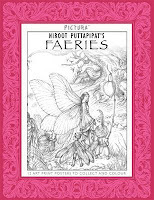 Faeries by Niroot Puttapipat - the best drawn fairies I've seen. 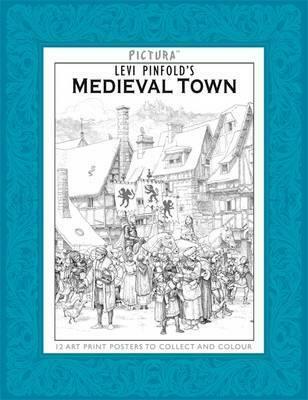 Medieval Town by Levi Pinfold - like scenes from Breughel. Picture Book Box - Grandpa Green - here. Step-by-Step - Colouring Grass - here. 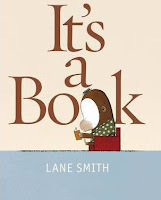 Here is the first in a new series, on picture books that I come across. They won't be just new books. In fact a couple may even predate me! I'll pass a colourer's eye over them too, although I can only add photos that the publishers have released or I risk breaking copyright. Today is ANZAC Day in New Zealand and Australia, which is our Memorial Day. On such days most of us think back on our grandfathers and grandmothers, great grandfathers and great grandmothers who served in the armed forces. Often they didn't tell us much about those years. This isn't a picture book based just on war experiences but it's about a young boy finding out about the loves and losses of his Great Grandfather's life and what an interesting life it is. 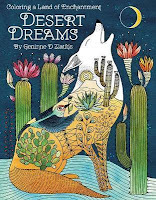 This story has layers to it and you'll be surprised what you get out of it, with each reading. That all bar the very young will be intrigued by it, is a sign of a good picture book. 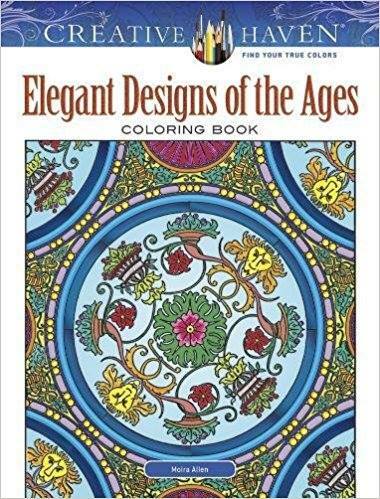 It's ageless. For many of us, gardens hold personal memories; a plant gifted by a special friend or a plant that comes from a garden of someone now deceased. To choose a garden as a way of exploring a life story is appropriate. 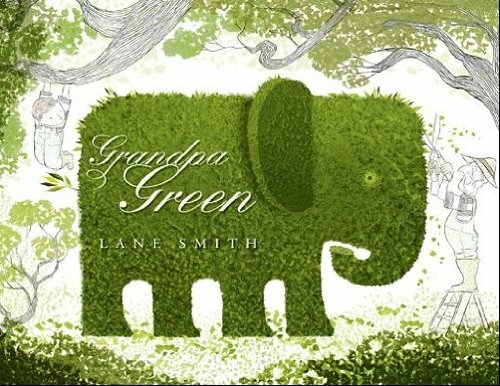 As Great Grandfather loses his memory the garden and his topiaries remind him of important events in the past. I particularly like the old, gnarled tree with half of its leaves dropping off to the words, "Now he's pretty old." The double fold-out spread of the garden, near the end, that "remembers for him", revisits the earlier images in the book. The final page shows the young boy making a topiary image of his Great Grandfather as the circle of life continues. 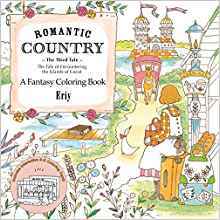 You'll pick up references to the Wizard of Oz and the Little Engine That Could in here too. 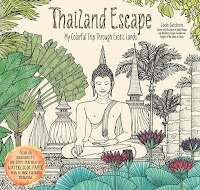 The book was first published in 2011 and was a Caldecott Honor book. The artwork too has layers of meaning and humour. The story is told through topiary. I thought that it was interesting that Lane chose limey, olive greens rather than the traditional, dark Bay or Yew used for topiary. It looks like he has sponged on the colour over a base colour and the backgrounds seem to be lightly sponged on too. 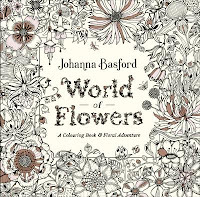 That's an idea to explore in our own colouring. I'm taken with his small rocks too. 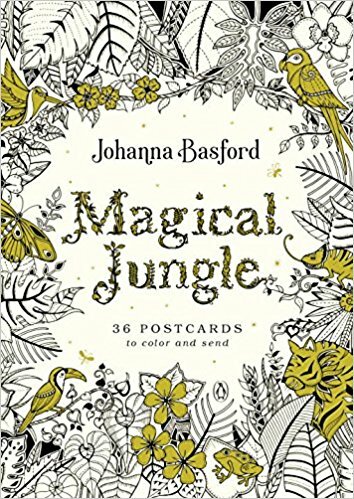 Image released by the publisher. Amazon UK (paperback) hardback also available. 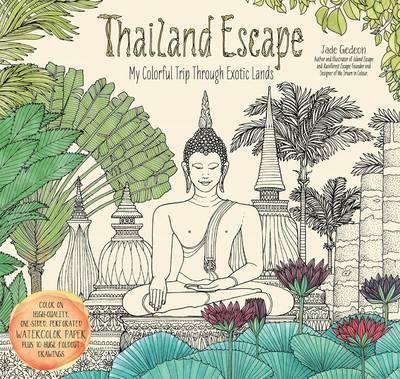 Also available as a board book and hardback. 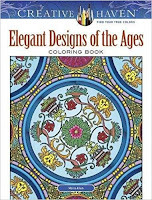 Elegant Designs of the Ages - here. 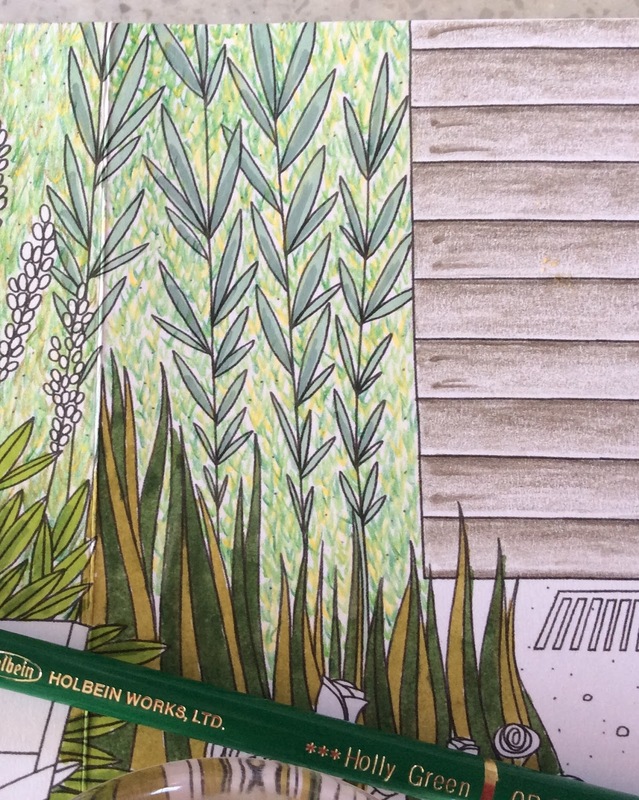 I've had a problem with colouring grass for ages. I'm abysmal at it! Usually I colour it too olive-green and it looks almost burnt. When I colour it in pencil over a largish area it turns out patchy and boring. 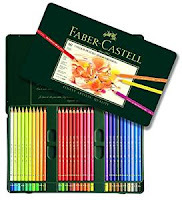 So recently I'd taken to using pastels to do the job. My range of greens doesn't seem to be quite right, and I also get annoying blobs and smears. Pastel is okay if you want a hint of greenish in the background, but when the grass area is quite prominent, it needs a different approach. 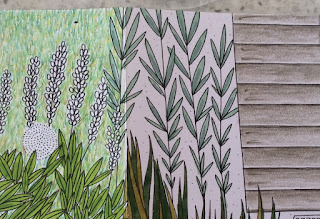 I was faced with this situation in my current colouring of Pictura Cats, a fold-out frieze, that has a HUGE amount of grass in it! So this week I did a bit of research on Google and I put together these ideas into a passable, if labour intensive, solution. 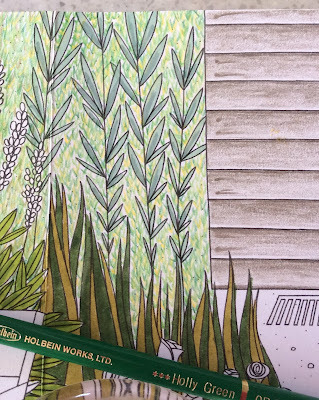 I used a mix of Polychromos and Holbein pencils as I didn't have all the colours in Polychromos. 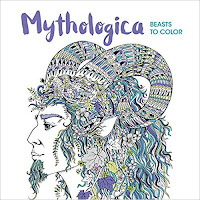 However I'll give you the Polychromos numbers as well. 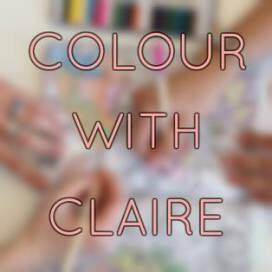 This involves putting doing a light layer of a pale cream colour. You'll barely see it but it just takes away the whiteness and gives a gentle glow. I used Polychromos 102 Cream. 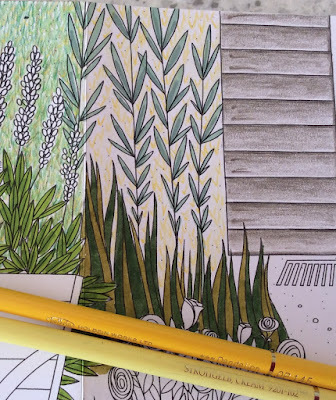 Then take a fairly bright lemon and make tiny clumps with upright pencil strokes. It doesn't have to too close together but evenly spaced out. 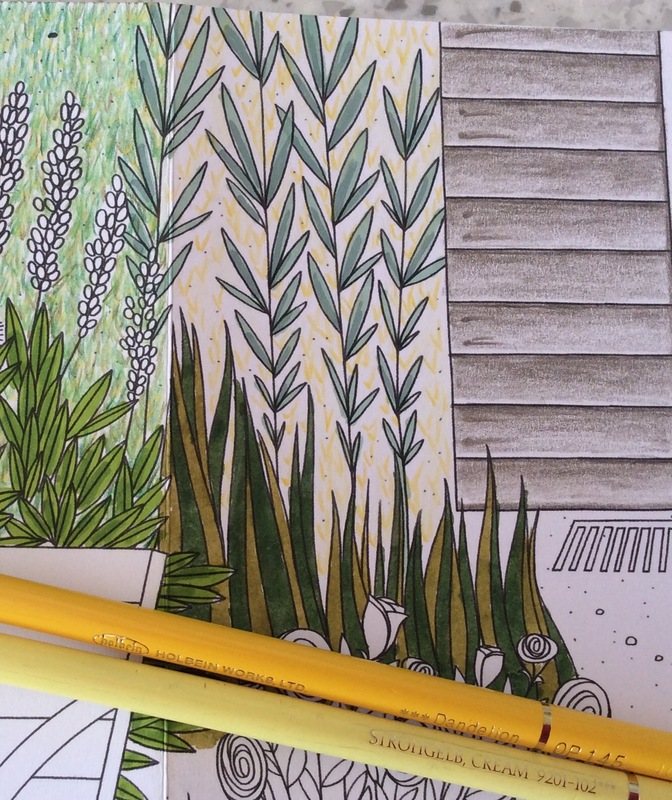 I used Holbein 145 Dandelion but you could also use Polychromos 205 Cadmium Yellow Lemon. Now we get into the greens and start with quite a bright, lighter green. Put in more grass clumps, quite thickly this time, and you can go over the yellow clumps. 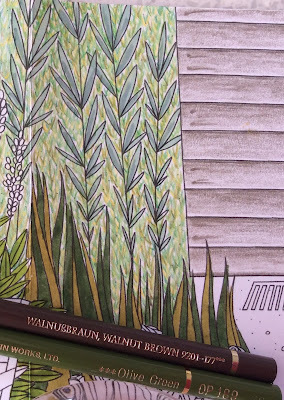 I used Holbein 254 Evergreen but you could also use Polychromos 166 Grass Green. Move on to a slightly darker green and do a lot of these clumps too. 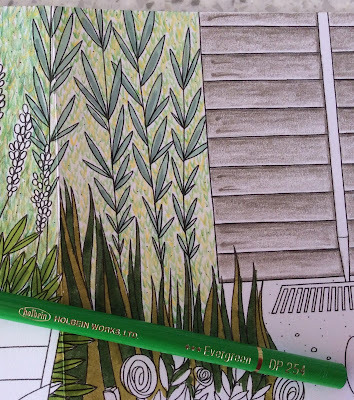 I used Holbein 264 Holly Green or you could use Polychromos 266 Permanent Green. You should have quite good coverage of clumps by now. 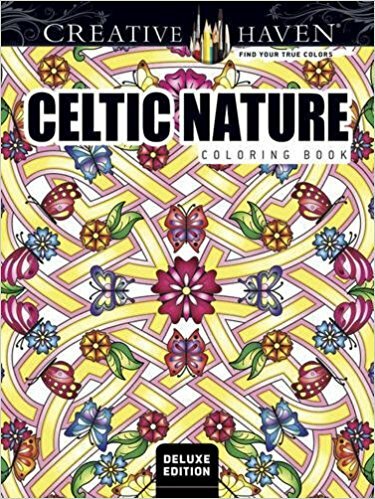 Now take a slightly different green and do some more random clumps and upward strokes. Also I use this colour to get into the edges around the leaves and rocks. I used Polychromos 167 Permanent Green Olive. I like this one. 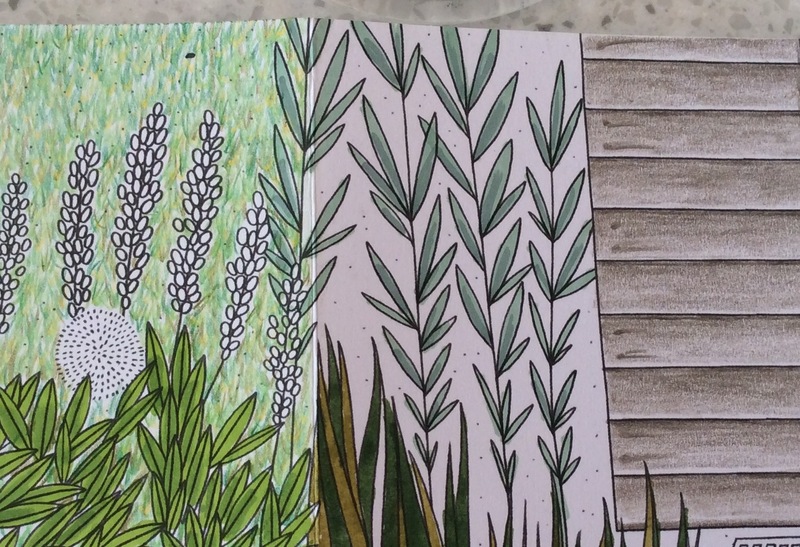 Take an olive green colour and make random upward strokes or clumps to give a bit of depth to the colouring and moderate all that bright greenness. I used Holbein 189 Olive Green. An alternative is Polychromos 278 Chrome Oxide Green. You're almost there! Just an occasional random blade of dark brown. Go light on this or your grass will look burnt. I used Polychromos 177 Walnut Brown. You can repeat these steps again if you want a less open look. 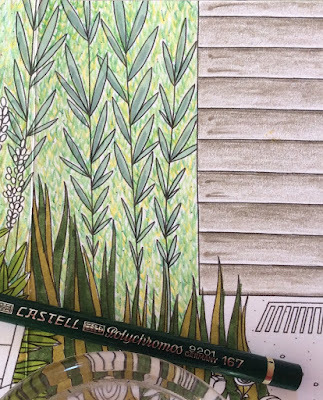 To add in a patch of sunshines on the grass, stop after adding in Step 1 or 2 and continue around that with the darker colours. 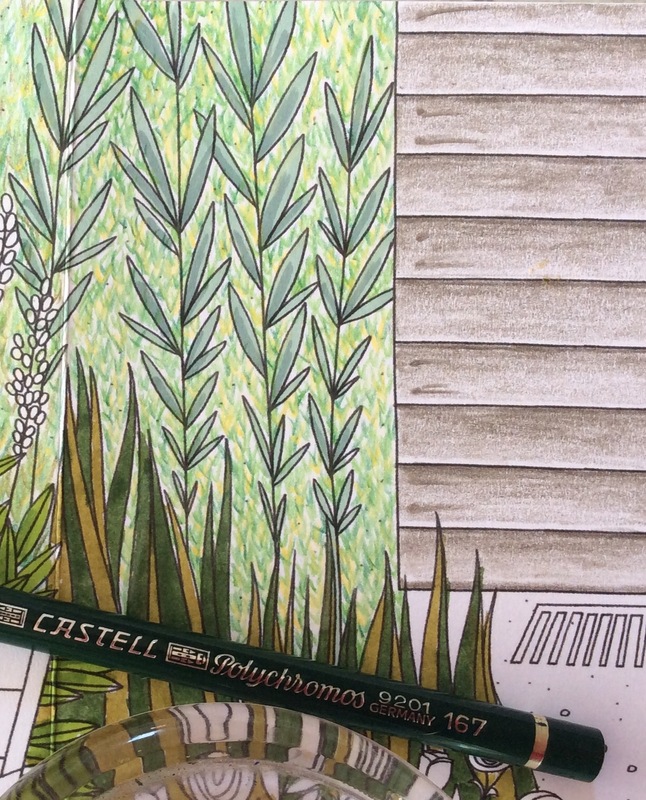 If you're colouring grass in the shade you will need to work out a palette of darker colours. You can see other posts in the Step-by-Step series - here. 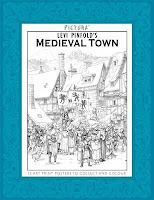 You can read my review of Pictura Cats - here. 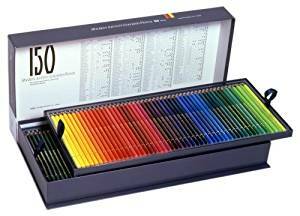 Here are some links to pencil brands, the largest sets and you can check out smaller sets from there. At Amazon you can also get the full 120 pencil set. Also check the price at Amazon Japan as it can be cheaper. 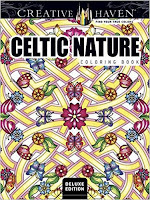 A Celtic Beauty - here.